Another 100 days have flown by! And with it a significantly different pace of traveling relative to the first 100 days. This period gradually shifted from a fast-paced, social, adventurous nature to a more relaxed and stagnant one. Hitchhiking hundreds of kilometers and hours long hikes in the Balkan mountains, led solely by my wanderlust, morphed into a Tuscan retreat that consisted of work, routine, and respite. Finally, as if completely digressing from the nomadic way, the past 40 days in Turkey have been characterized by family, friends, home, complacency, and guaranteed shelter, laundry and food…although I still managed to squeeze in some trips here and there. Overall, it has been a favorable procession of events, a reflective one that has acted as a nice cushion between the preceding 5 months in Europe and what promises to be a challenging, hectic, contrasting, unique and exciting 8 months beginning in Asia. And with a new chapter awaiting to unfold, there are some key alterations and upgrades that are worth mentioning. As predicted roughly 100 days ago, my sport-hiking Merrell shoes have reached their early demise. 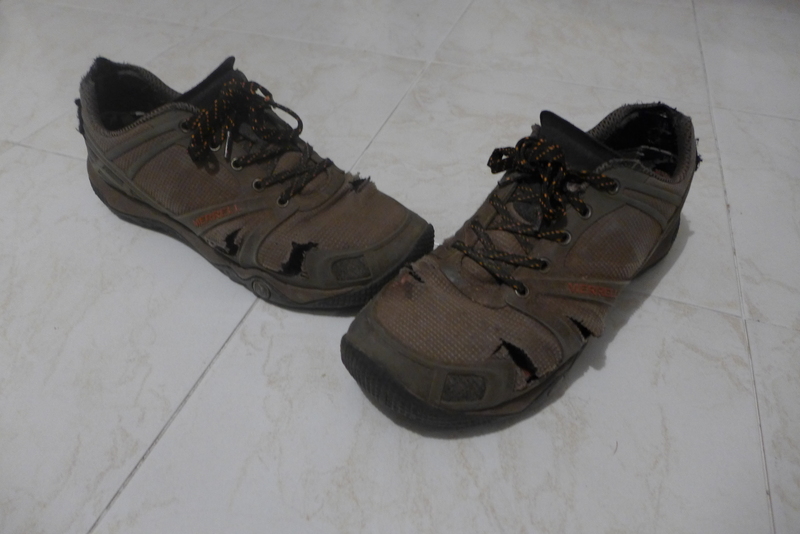 Giving their last brave fight in the olive groves of Tuscany, these once healthy, shining, solid shoes, currently dressed in obtrusive, golf ball-sized tears, worn soles, and dirt-ridden fabric, have given their last hoorah. These veterans now comfortably reside in my grandmother’s house in Ankara, waiting for a worthy means of transport to a future address in the US, where they will be ostentatiously displayed for all to admire. 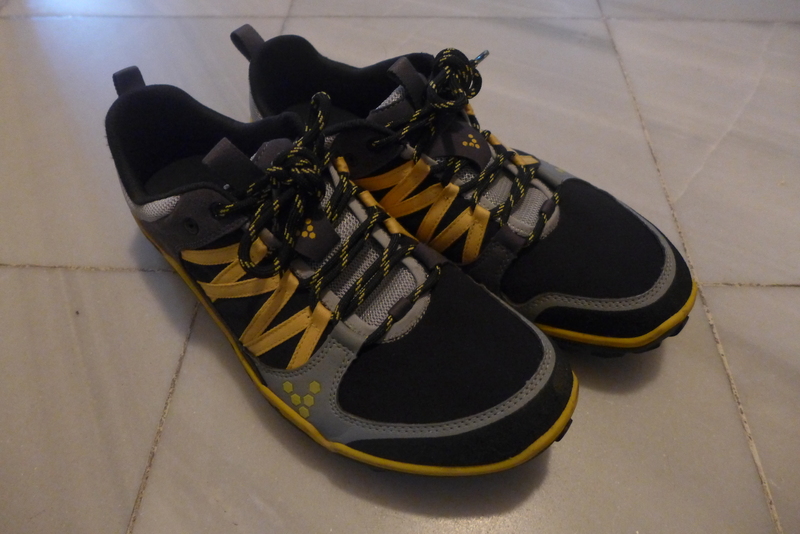 In the meantime, a care package from my father has arrived in Istanbul containing three new critical additions to my gear, including first and foremost these bad boys, my new sole pair of footwear that will ideally last until the end of my trip. 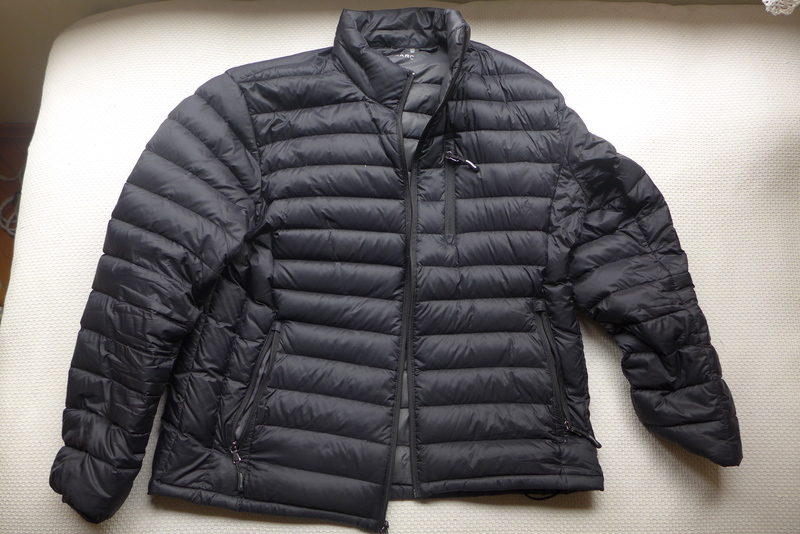 Next on the list, in preparation for what promises to be a cold Chinese winter, is a compressible down jacket. While providing a sufficient amount of warmth, this soft, fluffy coat impressively compresses down to fit into an approximately 15 x 10 x 10 cm (6 x 4 x 4 in) sack, taking up very little space in my pack. In addition, a black beanie and light blue scarf have been appended to the list, both New Year’s gifts that were very welcome. 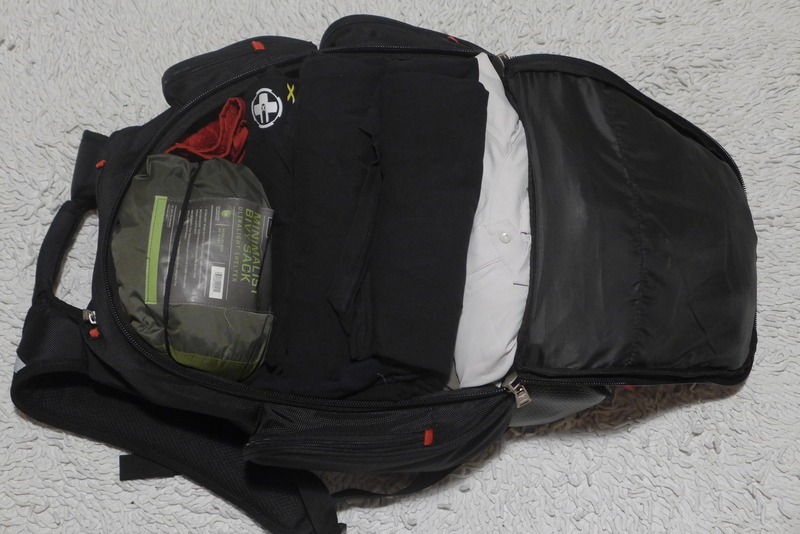 And most importantly, all of these additions that I have mentioned thus far are all articles of clothing that, for a better half of the upcoming winter, will be worn, thereby taking up no extra space in my pack. Which brings me to the biggest change of them all. “35 liters. For the 14 months on the road, this value quantifies my shelter, closet, bathroom drawer, kitchen cupboard, connection to cyberspace…but in the grander scheme, it embodies the minimalist and organic lifestyle, and poses a brilliantly exciting challenge.” As a justification for the title of my blog, this is the description I have included in my preparations page. For the past several months, these 35 liters have become my life, a simple collection of my bare essentials, and most importantly an eye-opening challenge. And with each passing day I become increasingly aware of how fitting a title this is, because beyond the quantitative representation, the ideology it encapsulates has become one that I have embraced and savored. Feeding off of this philosophy, I have decided to upgrade the challenge…by downgrading. Since my sleeping bag isn’t fit for winter camping, it is best left behind. However, the bivy sack I will still bring along for emergency situations and any future wild camping in milder climates. I have also exluded the latter three items, after some thought, because they are relatively bulky and nonessential. Alas, with a much lighter (6 kgs vs. previously 9 kgs) and smaller load, many new doors open. 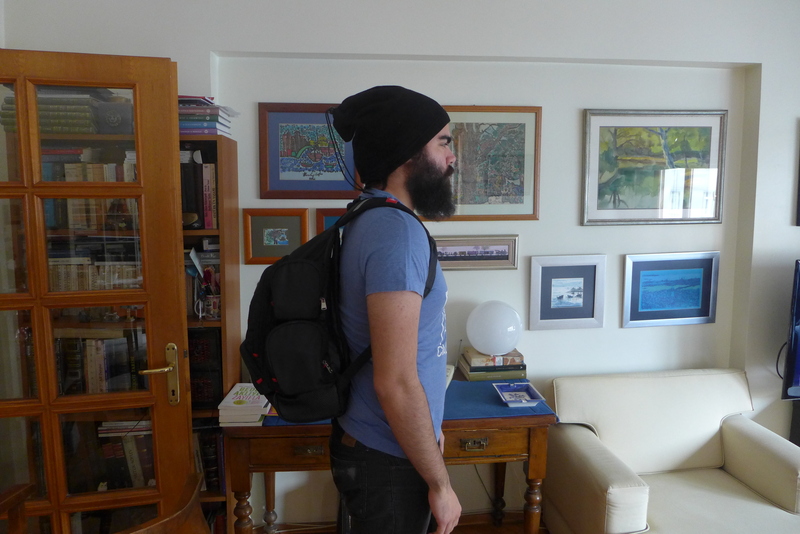 Doubling as a daypack that I can now bring along comfortably when wandering a city, I will be less obtrusive when seated in smaller settings such as coffee shops, or standing in crowded places, queues, and the like. Public transport, including both local and long distance bus rides, will be safer and more comfortable, as the bag will always sit snugly in my lap. 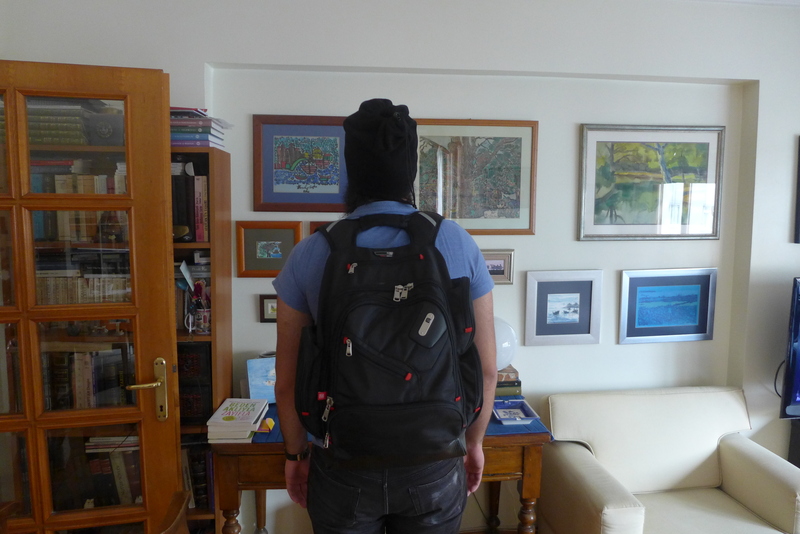 And lastly, looking less like a backpacker (and more like a foreign student with a school pack) might make me less of a target when it comes to potentially getting scammed or ripped off. Wrapping up the 2014 leg of my trip, I can say that I am ready for the next chapter to begin. With a flight to Beijing in two days, I have the exceptionally enormous, wonderfully diverse and drastically foreign country of China lying before me, waiting to be explored. Continuing this form of unplanned, spontaneous, solo traveling in a part of the world that isn’t particularly catering to such activities, especially for a non-Chinese speaker during the weeks leading up to the largest annual human migration on earth (Chinese New Year), will be interesting, to say the least. And the feelings of excitement and restlessness are as strong as ever. I’m ready to be thrown into the unfamiliar and unanticipated; to tackle language barriers with gesticulation and imagination; to taste that which I have never seen on a menu, or thought to be edible; to have the simplest situations turn into puzzles, with different cultural practices wrapped up in the wallpaper of a foreign tongue and unusual script; and most of all, to have any such expectations and assumptions be rattled, shattered and turned upside down. Here is to a happy, healthy and nomadic 2015! have a wonderful new year…. gung hai fat choi!!!!!!!! Cheers! You do the same! What a marvelous, exciting post! How many languages have you surprised yourself by picking up? How’s your Mandarin? Do you use iTranslate or any other app? Don’t answer! We all await your next installment! Happy trails! Thanks very much! I’ll leave it to future posts to answer those questions. Kerem, you may be the next Anthony Bourdain, and you are certainly an expressive writer. How did I drop off the notification list? So glad to catch up—to some extent. I’m not sure how you would have dropped off, if you still aren’t receiving any notifications, you could try unsubscribing and then signing back up. Let me know if you still have issues.